Dubai, UAE, March 19, 2019: In the recently held Dubai Lynx Awards 2019, IKEA took home four awards for its unique and creative campaign “End the everyday drama” where the region’s favorite Swedish home furnishing retailer demonstrated how small, niggling annoyances can upset our daily routine and quickly turn melodramatic. 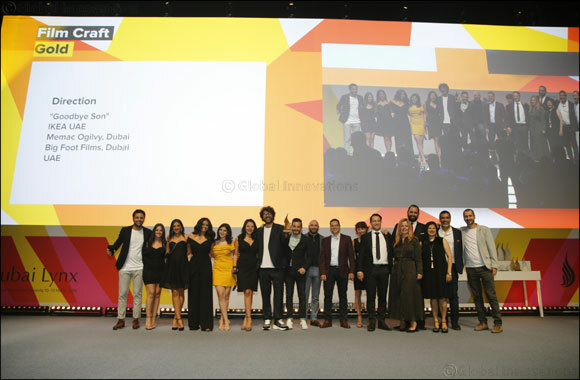 The series was applauded at the 2019 Dubai Lynx Awards, one of the most coveted awards in the region for creative excellence. Judged by a jury consisting of the best in the industry, Lynx awards acknowledges and awards agencies for their most unique ideas that span across categories such as Film, Film Craft, Design, Digital, Direct, Public Relations and more. The series won two Dubai Lynx Gold Awards for Film and Film Craft. In the Film category the winning episodes were “That Cheater”, “Mama’s Little Boy”, “Shower Mishap” and “Leftover Misery”, while the episode “Goodbye Son” took the gold for the Film Craft category. IKEA also won a bronze in the Film Craft category for the “Shower Mishap” episode of the same series. In the Outdoor Ambient category, IKEA won a silver with its “Bully a Plant” campaign, that shared a unique perspective on verbal bullying in schools. These awards have set the bar for IKEA’s creative strategy and will push the team to focus on more creative ideas and concepts in the coming future.